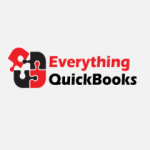 Everything QuickBooks Software & Services is an accounting consulting and software solutions firm specializing in reducing data entries. They do this by assisting small businesses with advanced training and conversions from accounting programs like Sage 50 (Peachtree) and MAS to QuickBooks Enterprise Solutions and Intuit’s suite of products. Work For Everything QuickBooks? Claim This Page.